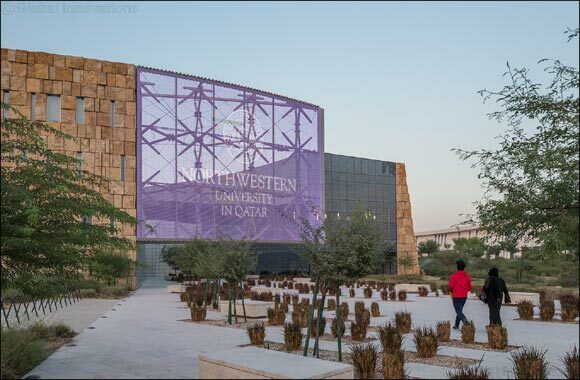 Doha, Qatar – January 26, 2018: Resilience is one of the key issues in strategic and crisis communication, and professional communicators will have the opportunity to learn strategies to address this issue at an executive education program being offered by Northwestern University in Qatar (NU-Q). J. Brian Houston, associate professor and chair of the Department of Communication and the director for the Disaster and Community Crisis Center (DCC) at the University of Missouri, will examine how strategic communication and public relations approaches can help foster collective resilience. Emergent issues related to social media and resilience also will be discussed. This course will be taught by Ephraim Cohen, general manager of FleishmanHillard New York – one of the leading public relations and marketing firms in the world. Cohen has designed and implemented communication programs for brands such as Samsung, Johnson & Johnson, and Facebook. From fake news and overnight social movements to new business dynamics and data-driven issues, Cohen will discuss how rapidly the social and business drivers of reputation are changing and how companies can prepare. Jairo Lugo-Ocando, director of the Executive and Graduate Education Program, said that the program was designed with Qatar in mind. “As Qatar continues to grow its global voice, strategic communication professionals and others in positions of authority would benefit from enhancing their understanding of how strategic communication methods can improve resilience of their organizations,” he said. This executive education program will take place in NU-Q’s state-of-the-art building in Education City on February 10th and 11th, 4:00 p.m. to 9:00 p.m. Applicants must hold a bachelor's degree and have at least two to three years of professional experience.